When Sky catches a glimpse of Zed for the first time, lounging against his motorbike at school, she is drawn to him just like every other girl in Wickenridge. But Zed sees something special in her that the other girls don’t have. Zed tells her they are both Savants – people with special powers like telepathy and the ability to see into the future. Not only that, she is a Savant too, and his soulfinder – meant to be together. When a soulfinder speaks telepathically to her partner, it’s like all the lights coming on in a building. You lit me up like Vegas. But for Sky it’s just not that easy – she’s a mystery to herself, haunted by nightmares from her past before she was adopted, and riddled with doubt and insecurity. Just when Sky is slowly coming round to the idea of being with Zed she is kidnapped by a family of criminal Savants. In a chilling twist, Sky and Zed’s relationship is put to the ultimate test and the fate of those she loves lie in Sky’s hands. Will Sky have the strength to embrace her power and be brave enough to control her own destiny, or will the dark demons of her past prevent her from realising her true potential? Note: I read this book in Dutch. After hearing so many awesome things about Finding Sky, I have to say I was more than a bit curious. So imagine my reaction when I got this one in for review. Eep! Yes, I did a little dance. And not for nothing; Finding Sky was a compelling read and I couldn't get enough of it. Sky seems to be holding back a little in this book, but I can't say I blame her. She just moved across the Atlantic and doesn't really know anyone yet. At school, she meets Zed; a bad boy with a bad attitude who doesn't care about anything. 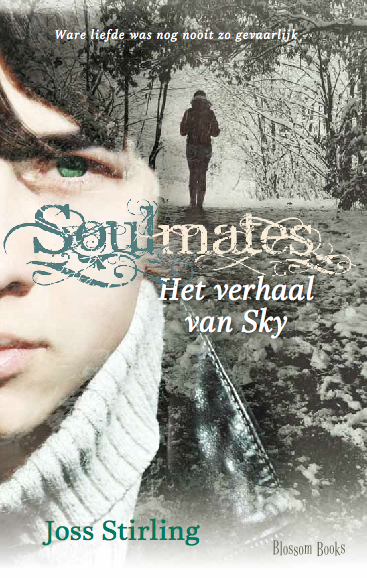 Until he meets Sky, and claims she's his soulmate. Sky thinks he's crazy and doesn't believe in any of the soulmates stuff, so she holds him off (GO YOU!). But when she discovers he's a Savant, and she is, too, everything starts to unravel. I really liked this idea of Savants and their world. There are many different kinds of Savants and I really enjoyed reading about them. I'm quite curious about the powers of the others! For me personally, Sky was a little too shy, a little too introvert for my liking, even though it worked out for the story. Zed and Sky balanced eachother out pretty nicely, but I would have liked to see Sky being a little more assertive - but props for not giving into Zed's soulmate-stuff! Overall, I really enjoyed reading this book. The writing kept me engaged while I found out more about the Savants and their powers. The way the world of the Savants was incorporated into the real world was very nicely done and has made me curious about what more there is to discover from their world. Where is the next Benedict brother? [Daph's BBE] Vrees Me Chapter Preview & Giveaway!